MHA is giving a talk about heritage advocacy in the 21st century at the National Trust next week. If you would like to hear about our campaigns and work over the past four years, or if you would like to find out how to get involved, please come along! How do we advocate for urban heritage in the 21st century? 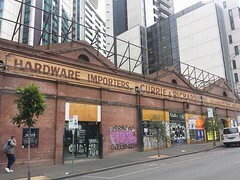 What are the current threats to the heritage of Melbourne’s CBD? 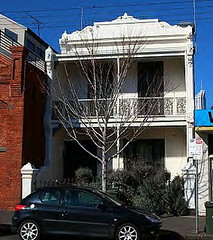 Melbourne Heritage Action (MHA) was formed with the support of the National Trust in the wake of the outcry over the demolition of the Art Deco building Lonsdale House. We were outraged that the State Government of Victoria, the City of Melbourne, Heritage Council of Victoria and the developers felt they could ignore public outcry and rob our city of a significant piece of architecture and character. We decided that there needed to be an advocacy group focused on the CBD. This talk will look at the past four years of Melbourne Heritage Action and the campaigns we are involved in such as Save the Palace, protection for Melbourne’s laneways, and advocating for protection of interiors. It will also discuss how advocacy is changing, how we have built a base of online supporters and how we work with media to get attention on heritage issues. Bookings and Enquiries: Book online or email bookings@nattrust.com.au.